Make it a date night at AGO: powerful art + delicious food + good company. After much anticipation, the Jean-Michel Basquiat: Now's the Time exhibition is finally opened! 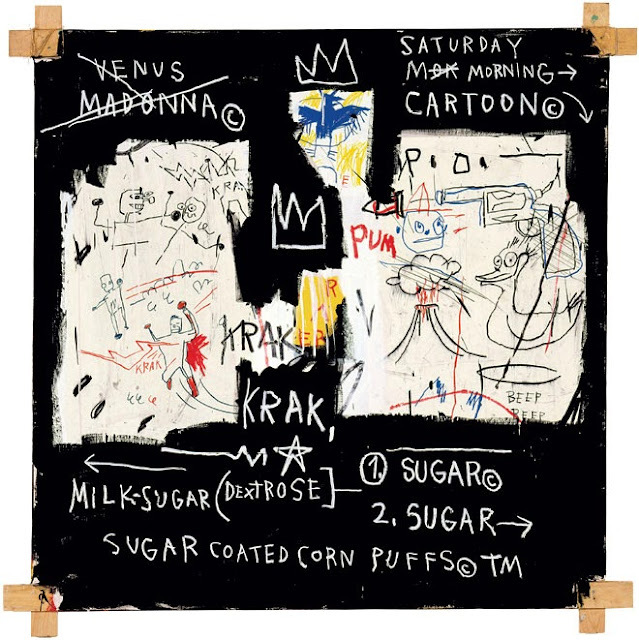 Jean-Michel Basquiat took the New York City art world by storm in the early 1980s and gained international recognition by creating powerful and expressive works that confronted issues of racism, identity and social tension. Although his career was cut short by his untimely death at age 27, his groundbreaking drawings and paintings continue to challenge perceptions, provoke vital dialogues and empower us to think critically about the world around us. Jean-Michel Basquiat: Now's the Time marks the first major retrospective of the artist's work in Canada and will feature close to 85 large-scale paintings and drawings from private collections and public museums across Europe and North America. Stay for lunch or dinner at FRANK Restaurant! Experience FRANK’s global bistro cuisine where their Chefs create seasonal flavours featuring local and quality fresh ingredients. Their menu includes limited-edition specialty items inspired by the exhibitions. They are also currently offering a Winterlicious Lunch/Dinner and Valentine's Day Prix Fix menus.